Trailer Detail, Park Side Trailers Sales and Service, Inc. Description: 2012 B-62-10 Adam Steel Stock trailer. 6'6" Inside Height, 6'Inside width. OPTIONS INCLUDE: BRAKES BOTH AXLES. 3500LB. 5 lug Torsion Sxles, 700-15 8-Ply Ratd Tires, Slide swing Rear gate. Approx. shipping weight 2200 Lbs. 2" Coupler. 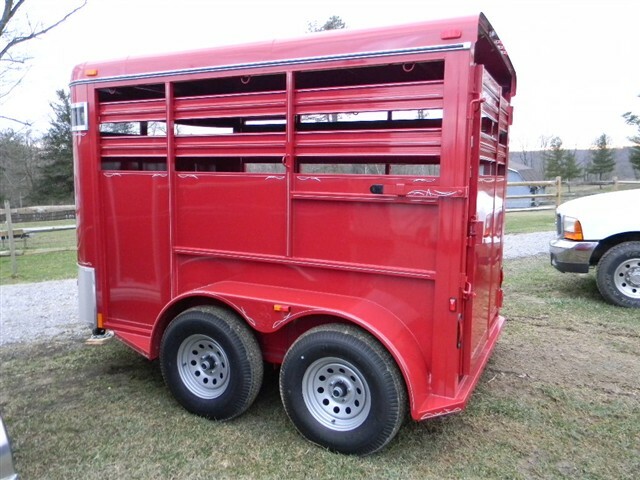 For information to purchase this trailer, please contact Rhonda (330)692-0374. Copyright 2011-18© Park Side Trailer Sales and Service, Inc. All rights reserved.